Samantha Donato, mother of Brendan Creato, appeared as a witness, Thursday, April 20, 2017, at Camden Superior Court during the murder trial of David 'DJ' Creato, her former partner and father of her child. Testimony in the murder trial of David “DJ” Creato began Thursday with scene-setting testimony by several law enforcement officers, but quickly shifted to the mother of the young son he is charged with killing. 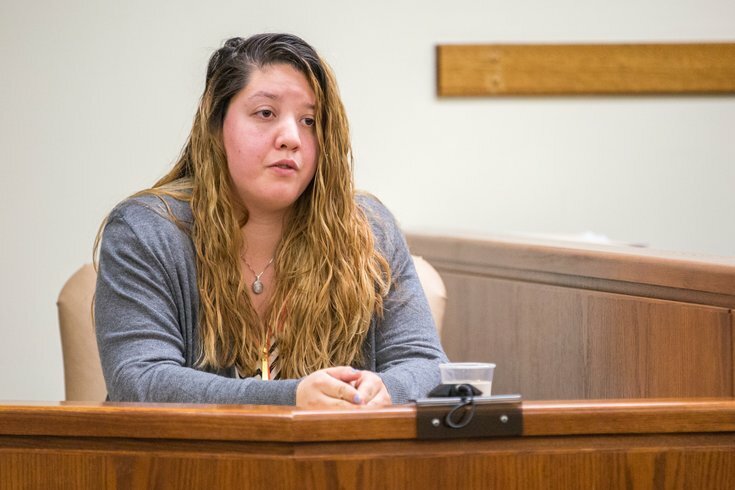 Samantha Denoto, the mother of Brendan Creato, the three-year-old boy found dead the morning of October 13, 2015 in Haddon Township, testified about the moment she learned her son had been found dead. Denoto said township police took her to headquarters to inform her. “They told me they found my son in the woods,” she said evenly. But she did not say if police provided any further details of her son’s death or his discovery on a rock in a creek in the stream, which flows through a public park. Denoto learned of her son’s death just a few hours after his father, DJ Creato, reported the child missing from the small second-floor apartment they shared in the Westmont section of the township. Denoto, who had a relationship with DJ Creato for seven years until they broke up at the age of 20, testified that she’d been alerted that Brendan was missing by a call Creato shortly after 6 a.m. It appears from other testimony that DJ had made similar calls that morning, first to his mother, Lisa Creato, who lives just blocks away, then to 9-1-1 and then finally to Denoto, with whom he informally shared Brendan’s custody. Denoto, speaking calmly and clearly taking her time to recall events, told Assistant Camden County Prosecutor Christine Shah that hearing her son was missing she’d ran to the car – in T-shirt, shorts and barefoot – with her boyfriend, Matt Holshue, from their township residence. She arrived so quickly at Creato’s apartment at Virginia Avenue and Cooper Street that almost no one from law enforcement had yet arrived for what soon became a large community-wide search, she testified. She and her boyfriend searched nearby, she testified. A detective suggested she return to her home about a mile from DJ Creato’s apartment in case her son showed up there. She did so, with her boyfriend remaining to search. She learned of her son’s death at home. Shah then focused on additional details from Denoto, such a secretly-recorded conversation she initiated with DJ Creato. Denoto testified that DJ Creato consistently repeated the same story about putting Brendan to bed, only to wake up and find the child missing. “It was not explainable, not logical,” Denoto testified, as Shah rolled her eyes for the jury. DJ had talked for years of “seeing and feeling spirits,” Denoto added. During cross-examination, Denoto said that while she has spoken to law enforcement, from police to prosecutors, as many as 15 times, she had never before spoken to Fuschino until Thursday. Fuschino asked if DJ Creato was a “supportive father,” if he “took good care” of his son and if he “was sweet and loving” toward the boy. Denoto replied, "Yes." 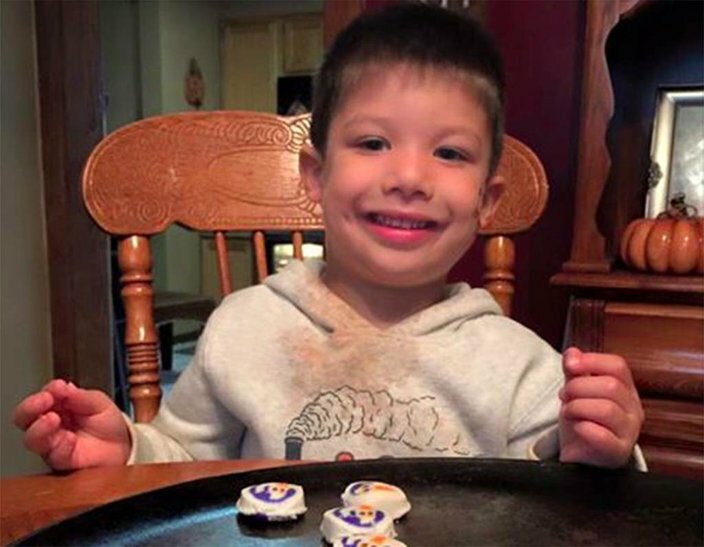 The body of Brendan Link Creato, 3, was found on the morning of Oct. 13, 2015, in a wooded area in Haddon Township. 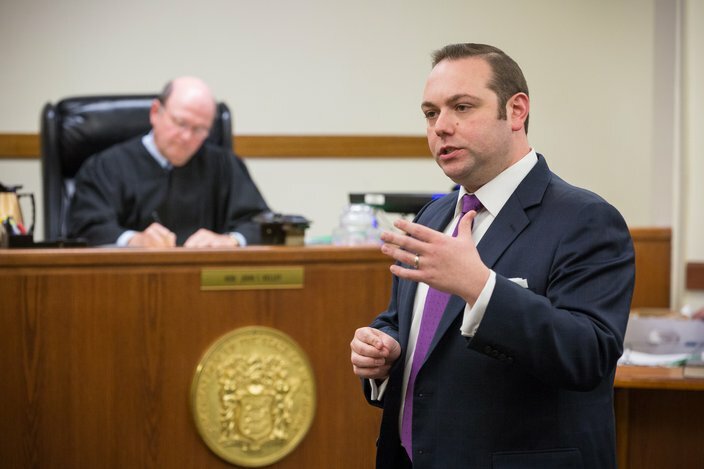 On Jan. 11, 2016, investigators announced the boy's father, David “DJ” Creato Jr., of Haddon Township, New Jersey, had been indicted by a grand jury on charges of first degree murder in connection with his son's death. The couple lived together in the home of Lisa and David Creato, DJ's parents, less than two blocks from where he eventually rented an apartment. She admitted there was always someone available to watch Brendan in their informal custody arrangement, especially Sarah Creato, the boy’s young aunt. Without providing underlying details, she told the court that DJ eventually moved to California without her or their son. On his return about two months later, he asked Denoto to move back to California with him, but she declined. When asked if Creato was gentle, she answered “yes,” and then added, “but everyone has their moments." Was she aware of the father ever striking her son, Denoto was asked. No, she testified. The lawyer gently pushed and asked if Denoto had any concern that the boy's behavior may have indicated sort of molestation to the counselors at the preschool he attended. She didn't think so, the mother responded. Fuschino then attempted to raise an issue about her boyfriend’s criminal history – as Holshue sat in the courtroom – but an objection by Shah and a subsequent sidebar conference halted that line of questioning. Shah responded by raising a question about a pet rat Creato had once owned and attempting to pursue the issue by showing the jury a related text message. Fuschino objected and the judge again halted that line of questioning. 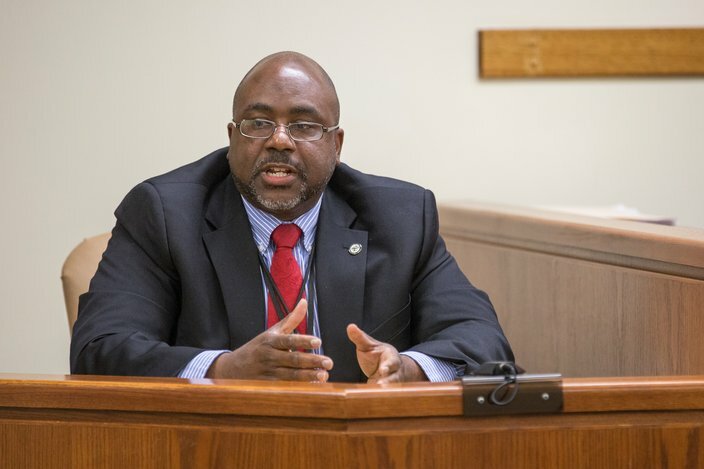 Court resumes Tuesday at 9 a.m. in Judge John T. Kelley’s courtroom in Camden. A visit to the Cooper River Park scene, already tentatively agreed to by the judge, may happen that day. Earlier Thursday during opening arguments, Shah outlined a case focusing on thousands of text messages between Creato and Stensky, as well as what she characterized as the impossibility of the toddler wandering so far to the creekside – alone and in the dark – while maintaining pristine socks. Fuschino admitted there will be evidence presented, but he argued none of it places his client at the scene where the body was found and nothing shows he was responsible for his son’s death.